📅 January 2019 April 4, 2019 by Bruno B. Thinking of traveling to the Azores? Here’s all you need to know BEFORE going. 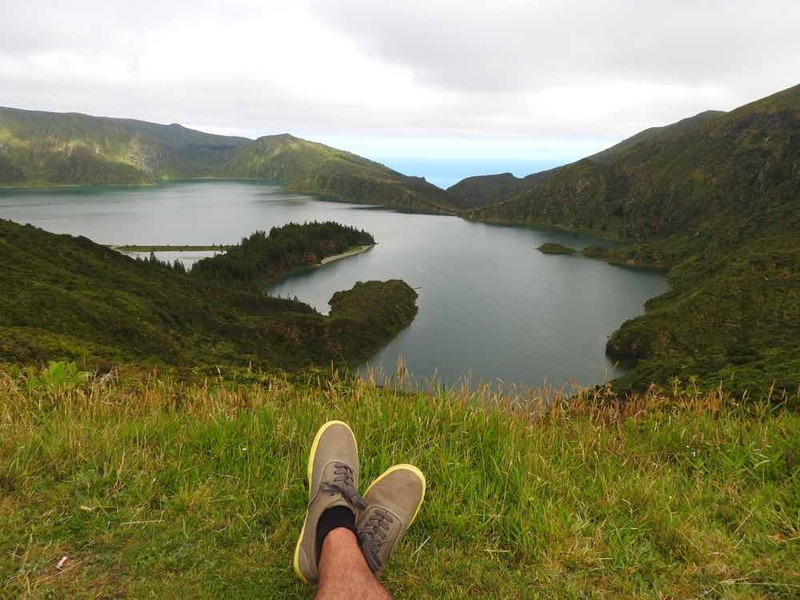 Follow these insider Azores travel tips for a safe and worry-free trip to one of the most remote and beautiful places in Europe! 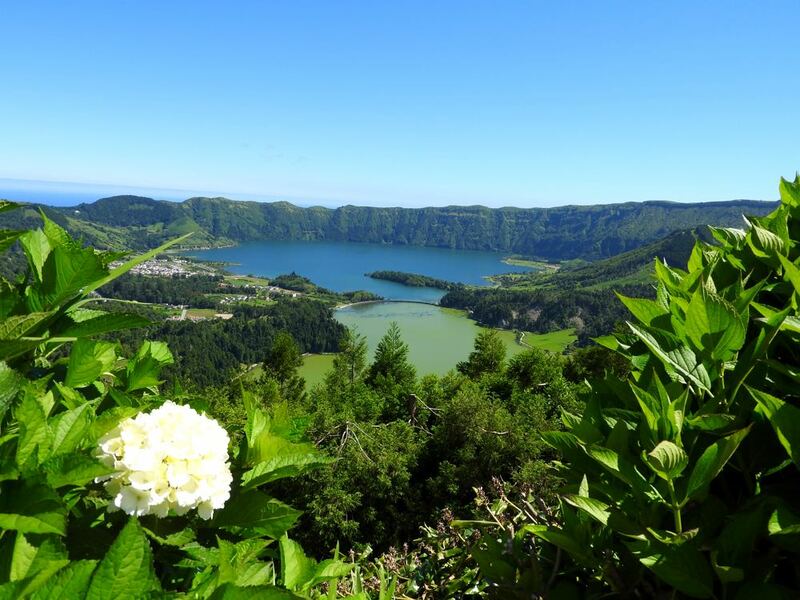 Showing off a huge collection of natural landscapes and wonders, delicious foods and lots of outdoor sports activities, the 9 islands of Azores are of Europe’s best-kept secrets. Now that they are definitely becoming more popular and a travel destination in demand, people come for me, a homeland child, for all kinds of advice. Food, lifestyle and even what to pack. These are the top tips and things you need to know before traveling to the Azores. 1. It’s NOT a party destination. 2. The weather is unpredictable. 3. There are signs of volcanic activity everywhere. 4. Bathing in thermal springs is a must. 5. It’s the place to try new outdoor activities. 6. There are plenty of dope lakes all around. 7. Mother Nature is in charge. 8. Pick the islands to visit with logistics in mind. 9. Traveling between islands is not easy. Nor cheap. 10. Get your own wheels. 11. It’s always tea o’clock. 12. Get used to a different kind of beaches. 13. Your budget won’t get hurt. 15. The food (specially the meat) is delicious. 16. A bit of Portuguese can go a long way. 17. Get there before mass tourism does. Perhaps the single most important lesson to learn about the Azores. The islands have been consecutively named one of the top sustainable destinations worldwide. Yet with the recent tourism boom, this fragile balance is now threatened. Don’t help spoil what has been unspoiled nature for centuries. When you’re in the islands, please try to minimize your impact at all times. Leave nothing but footprints everywhere you go and be aware of any activities causing visual and noise pollution. This includes avoiding playing loud music on phones and obviously taking ALL the trash with you until you find a bin. 1It’s NOT a party destination. This is the first thing I say: don’t expect partying hard in the Azores. Simply put, if you’re seeking huge Ibiza-like nightclubs or fancy “dress-to-impress” cocktail bars, this is not the place for you. The Azores are in essence a remote and tranquil destination, and locals are extremely proud of that. Call us boring, but generally speaking, we simply don’t care about big parties and clubs or the latest trends in fashion. I’m not a fan of clubs/discos myself, it’s not in my genes! Of course, there are small unpretentious clubs, bars, and pubs where people meet up. Sometimes even on the street. Those are great places to have a peek into the local culture. Visiting the Azores is all about unwinding and switching to a mindset of enjoying the little things in life. If I had a penny for every time someones ask me a question “How will the weather be in *insert random date*?” I’d be disgustingly rich. The thing is: no one knows. The Azores are remotely located in the middle of the Atlantic Ocean which causes the weather to be truly unstable. Any Azorean knows the weather can change dramatically at any minute. I went school every single day with an umbrella in my backpack, even in the shiniest and brightest of the days. A clear blue sky in the morning and a storm in the afternoon is pretty common. This unpredictability might be a bit inconvenient, but also adds a pinch of charm and fun to it. You never know what you’ll find which makes the whole experience more… real. Just take that into account while packing and make sure you follow the Spot Azores app to check the weather real-time. 3There are signs of volcanic activity everywhere. The Azores are considered to be the European Hawaii and for sure the volcanic activity is a big reason behind it. Yet another way to see nature in its purest form. 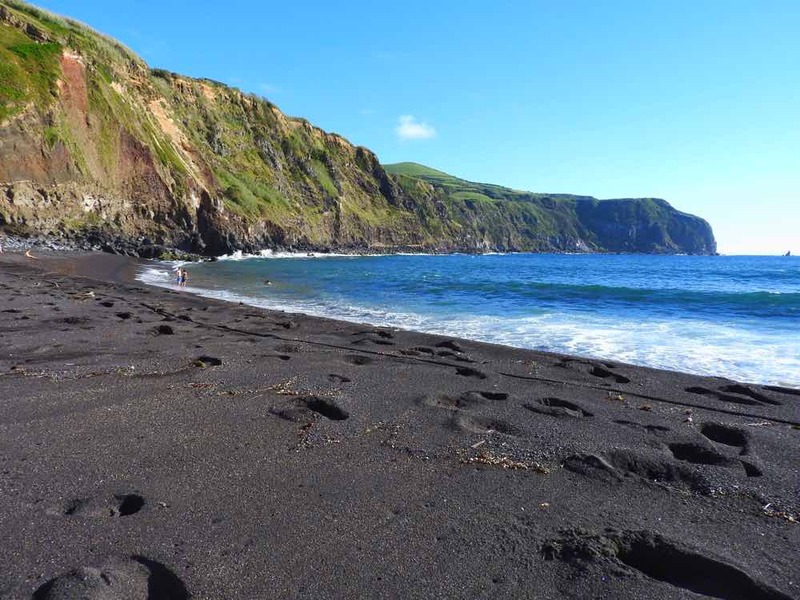 The dark black sand of all beaches in Azores. The geysers in Furnas Valley where hot steam literally comes from deep under the ground. You can actually taste food cooked underground. The Capelinhos volcano in Faial where you can literally walk on the apocalyptic lava remains of a recent eruption (the closest you’ll have to walking on the moon!). 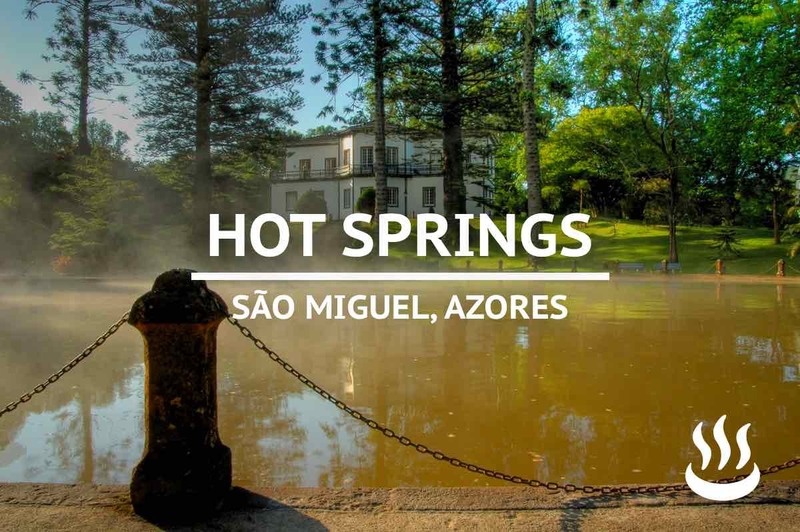 thermal springs where you can enjoy the heat of Mother Earth on a “human soup” experience. 4Bathing in thermal springs is a must-do! Yap, those are warm waters in the middle of a somehow pre-historic forest. HOW FREAKING COOL IS THAT? Even though the Azores are blessed with a warm current, the wild Atlantic can still be cold. The good news is that there are warm waters where you can have a delightful swim in. 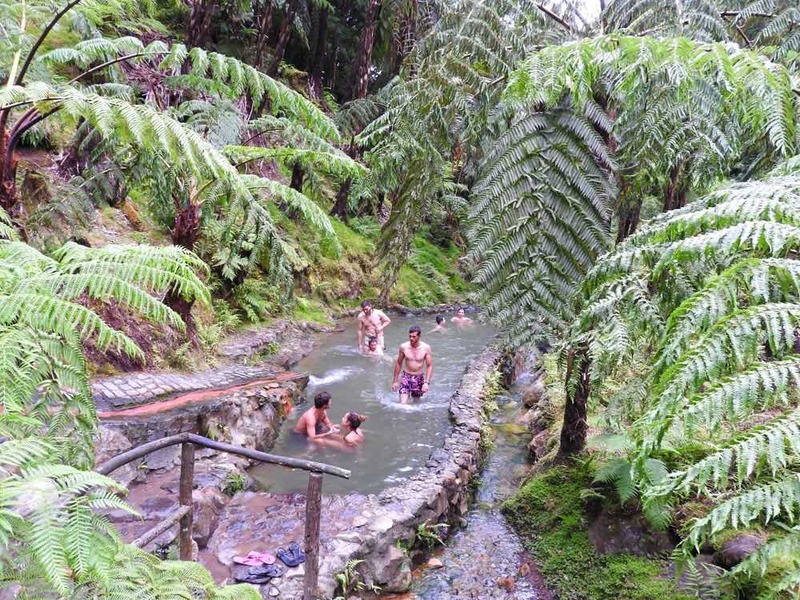 Natural thermal pools are common in São Miguel island. Places like Poça Dona Beija, Caldeira Velha or Terra Nostra are iron-enriched and surrounded by wild forest of palms and conifers. A surreal landscape perfect to relax after a long day of sightseeing. Pro tip: pick the most gloomy day of your trip to go to hot springs. Warm water feels better when it’s cold and rainy outside. 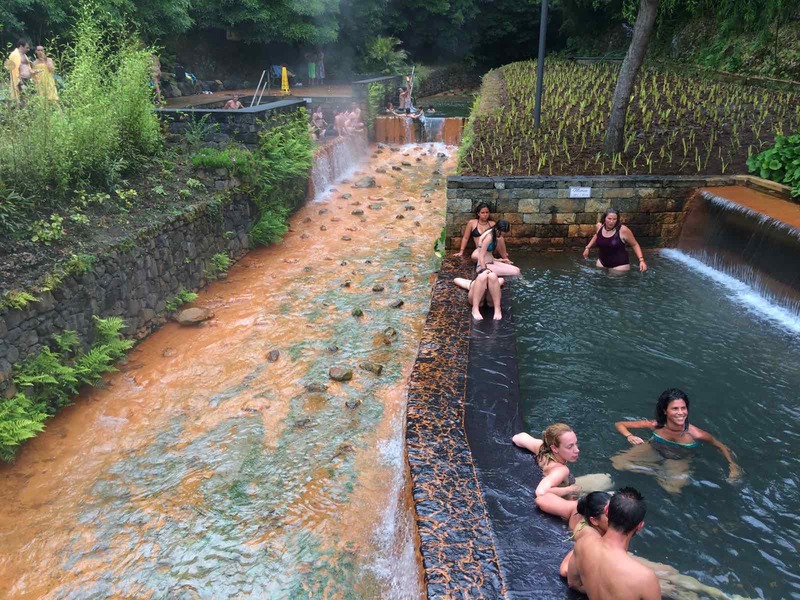 The best places to enjoy a mineral-enriched bath in São Miguel island. Includes important tips for a safe swim. 5It’s the place to try new outdoor activities. 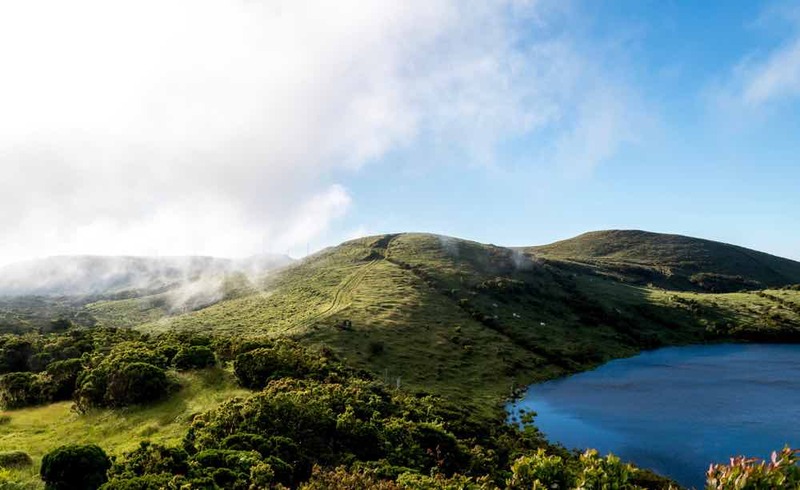 From hiking to horse riding on land, diving to world-class whale-watching in the sea or paragliding in the air, there are loads of outdoor activities you can do in the Azores. Since you’re already in a cool place, you should make sure you also do cool stuff to go with it, right? Dare to try new things! In São Miguel, I recommend going with a company like Picos de Aventura, they have a wide range of expeditions and tours to choose from. Hiking: There are literally dozens of official hiking trails in the islands. 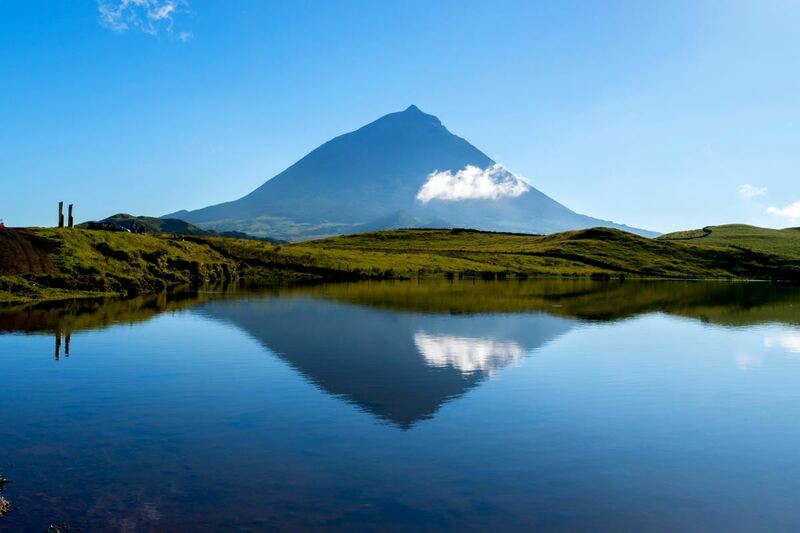 The most challenging one is climbing Pico Mountain, the highest mountain in Portugal (2,351m). Canyoning: Waterfalls surrounded by lush green forest are the ideal place to give this a try. Whale Watching: The Azores are a top-notch whale-watching destination. Choose the best time to go to increase the chances of seeing more species. Pico is the best place to see these amazing creatures. Horse Riding: There are private companies who arrange tailored horse-riding tours around lakes and other beautiful landscapes. Paragliding: Flies over the volcanic craters of Furnas and Sete Cidades in São Miguel island are now becoming popular. Kayaking: In most of the major lakes in São Miguel – except for Lagoa do Fogo, a natural reserve – you can now rent kayaks. Sea kayaking is available across almost all islands. Sailing: Any tour agency or private skipper is able to arrange you sailing tours. Diving: The potential of the Azores is almost endless in terms of diving spots. Some of the best experiences are the Rosais reef (São Jorge), the whale sharks in Santa Maria and the Angra do Heroísmo bay (Terceira). There are also some shipwrecks sites in Graciosa and São Miguel. Swimming with dolphins: This has been recently found to stress out the animals too much and some companies are already not offering this tour. Avoid. 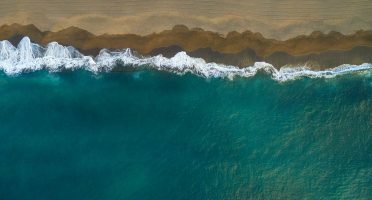 Surfing: The wild Atlantic ocean allows for fine surfable waves so it’s no surprise one of the stages of the World Surf League is held in Ribeira Grande in São Miguel island. Book your place in the Azores ASAP for the best deal! I’ve made your life easier and you can start your search with my pre-selection of the hotels/guesthouses/villas in the Azores. This list only includes the top-rated reviewed hotels in the islands, with WiFi included. It’s like someone set the saturation of your sight to the max level. If there’s a ranking of the reasons to visit the Azores, this will most likely be #1. There is an impressive collection of lakes in the islands, of all shapes, altitudes and accessibility levels. I can assure you being there is a sensory overload and the views will take your breath away. There is even better news. You can at least hike around most of them which is by itself highly promising in terms of views photo opportunities! 7Mother Nature is in charge. This is the most important thing you need to take away from this article. Being back in touch with nature is one of the strong selling points of a trip to the islands. Everyone knows that before stepping their feet there (if you don’t, well… it might be more clear now). What is not immediately visible is why the Azores have managed to keep their stunning lakes, cliffs, meadows as beautiful for so long. And it all comes down to respect by Mother Nature. She’s in charge. Locals have a deep respect for nature and for the ocean in particular. Sustainability and eco-friendly are big words in the islands! Do the same. Have this on the back of your mind when you’re out there. Always put trash on the bins – especially plastic and cigarette buns! – and don’t be loud. Loud noises disturb animals (to be fair, some humans too) and the overall harmony of the place. 8Pick the islands to visit with logistics in mind. One of the most important decisions you’ll have to make is which islands to visit in Azores. 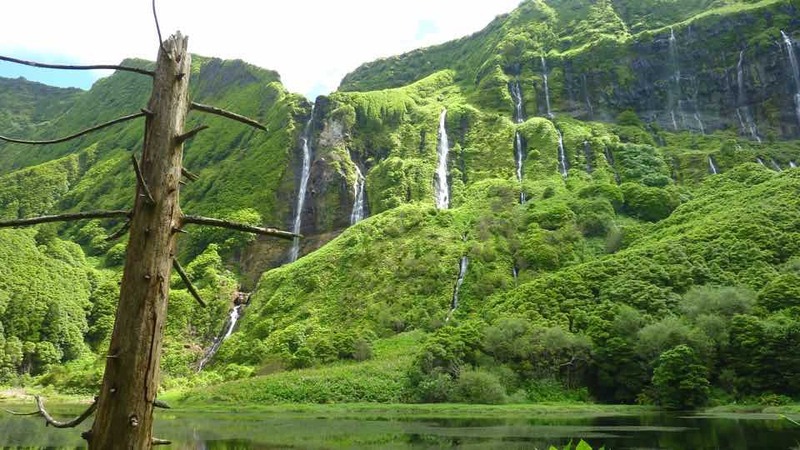 There are 9 very different islands to choose from and the logistics do matter a lot, so make sure you come up with an Azores itinerary that makes sense for you. A trip to São Miguel island alone gives you a good grasp of the Azores, but you might feel tempted to add in a few more islands. If you do, study the logistics and check prices and schedules of planes and ferries beforehand. Advice and planning tips to pick an efficient travel itinerary around the islands. 9Traveling between islands is not easy. Nor cheap. Inter-island ferry connections in Azores. 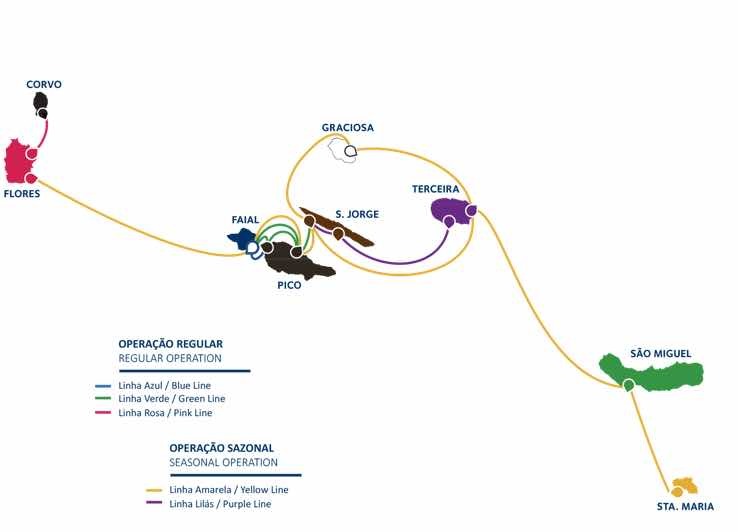 Source: Atlântico Line. 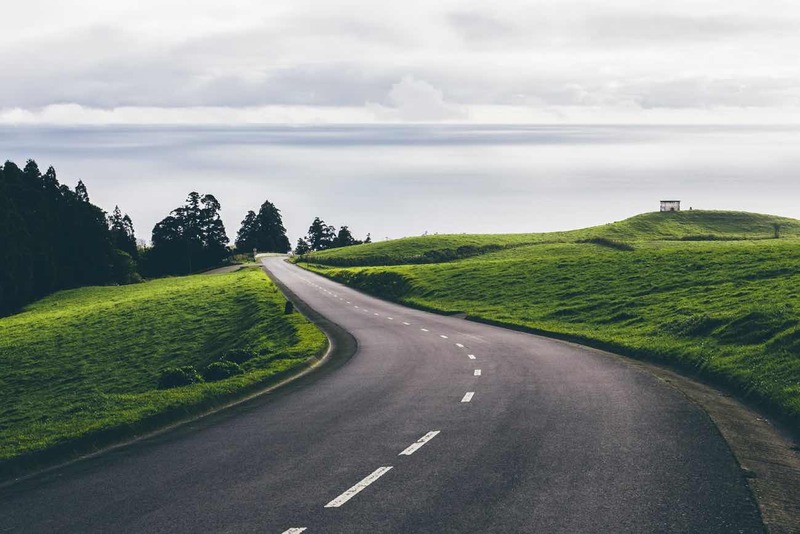 The Azores are remote and relatively small islands and unfortunately public transportation is not their strongest point so getting around the islands is tricky. 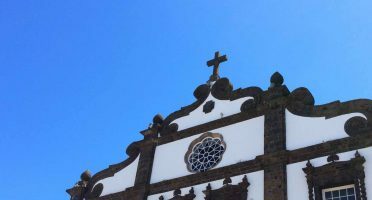 I’ve done some sample Azores itineraries, but for inter-island connections you have only two options. Option 1 is flying. 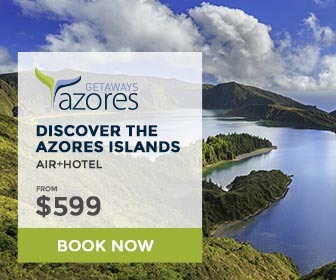 Sadly, SATA/Azores Airlines is the only airline doing inter-island flights and with no competition, the prices can be expensive. The good news is that you might be eligible for a free connecting flight to other island – check their terms and conditions. If you’re considering ferries (Option 2), the reference company is Atlântico Line. Take into account these journeys can be long though. The trip from São Miguel to Santa Maria alone (the two islands on the Eastern Group) takes at least 3 hours! See more details for the ferries in Azores in the section below. My personal suggestion is to always fly between islands of different groups – Western, Central and Eastern – and to consider the ferry only for short trips in inter-grouping islands (e.g. Faial to Pico or Corvo to Flores). Whatever you do, leave the exploration of the island you’re flying OUT back home for last. This will avoid any problems with journey cancellations which are pretty common due to due to rapidly changing weather and sea conditions in North Atlantic. Although there are some sub companies operating inter island ferries in Azores, they all belong to the same parent company: Atlântico Line. It provides a full service (including vehicles) between all the 9 islands. Only available during summer months. You can make your reservation directly with Atlântico Line. The trip takes roughly 3 hours. The service runs several times a day the entire year and given the proximity of the islands, it’s very reliable. You can book with Atlântico Line or Transmaçor. Atlantico Line runs the only ferry to Flores. There is a very small ferry that runs between Flores and Corvo it may hold 10-15 passengers. Another logistics problem to solve: getting around inside each island. Taxis can be expensive and private guides even worse (if you’re going for these options, make sure you negotiate a price before!). The network of buses between the main towns is not frequent and doesn’t get you anywhere close to the main sights anyway. In face of this catastrophic scenario, I HIGHLY recommend getting your own wheels, preferably renting a car. Even in São Miguel, there have been days with such a high demand in summer with virtually NO cars available to rent. Zero. I’d book the car rental as soon as you book your flights. Who’s up for some organic tea? Did you know the Azores are the only region in Europe where tea is cultivated? 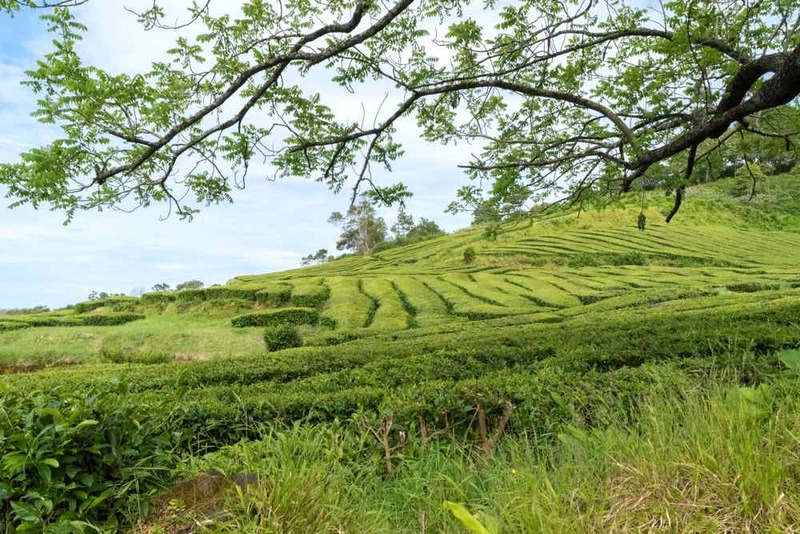 The tea estates in the island of São Miguel have been producing organic black, green, and orange pekoe teas since 1883. Make sure you stop by either Gorreana or Porto Formoso. Getting insights on the way everything works is an original experience and there is even a hiking trail through the tea fields. Plus, the little tea boxes make great gifts for people back home! 12Get used to a different kind of beaches. A different kind of beach, hun? Even though the weather might feel almost tropical, don’t expect postcard-worthy beaches with soft white sand you’re used seeing on Instagram. The beaches in Azores are of volcanic origin, which means dark sand – a greyish, almost black color – which sadly takes away a bit of the visibility of the water. Also count with wilder, and with rougher waves, which makes beaches incredible character-enriched landscapes. The Gulf stream raises the sea temperature in Azores up to a tolerable 23-24 degrees Celsius during summer time (only 14-16 degrees during winter). Pretty good considering we’re talking about the North Atlantic. 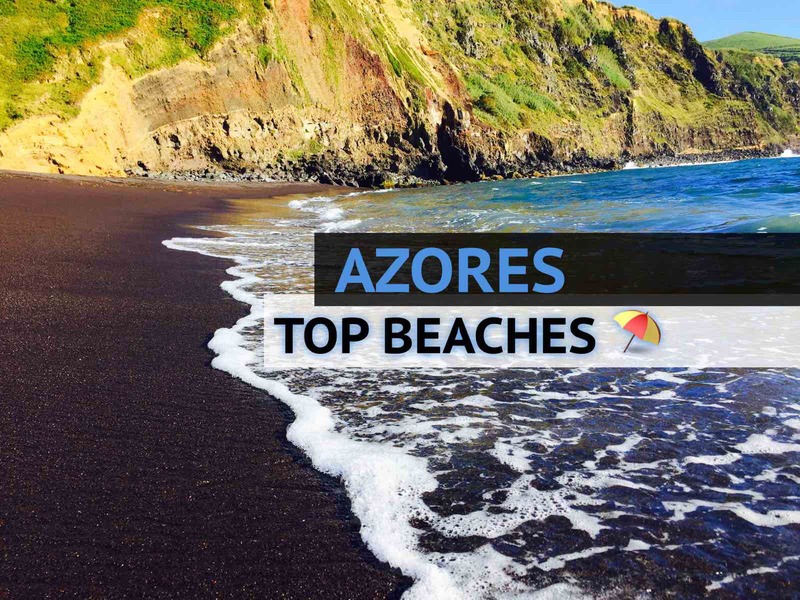 The best Azores beaches plus important tips before you go for an ocean swim. 13Your budget won’t get hurt. You know how much I like value-for-money destinations, where your budget can go a long way. There’s no worse feeling than paying an awful amount of money and don’t get a somewhat rewarding experience in return. Well, I can assure you nothing of that will happen in Azores. While they are still slightly more expensive than mainland Portugal – insularity comes with a price! – food and accommodation are still cheap compared to Western European standards. It’s possible to travel to Azores with a budget of less than $80-90 a day, including accommodation, food, and transportation. To give you a better idea, these are some of the prices you can expect. Dress code is relaxed and practical everywhere in the islands. Very important tip when packing to the Azores: bring comfortable clothes and shoes. During summertime, it can get quite hot but it’s a good idea to always carry a light jacket with you. Especially if you’re hiking. Shorts are a good idea, even for rainy days as legs dry faster than any fabric. Flip flops, however, are NOT a good shout. They are poor choices both on the muddy, slippery surfaces of trails/lakes as well as on the cobblestones of the major cities. While temperatures in winter are not unbearable, the number of rainy days is high. And oh boy, when wind and rain combine, it can get really ugly. A rain jacket will be your best friend. Apart from these, make sure your phone has a good case protecting it and of course… bring a good camera! A DSLR camera – like my super compact one – or a waterproof GoPro would be ideal. 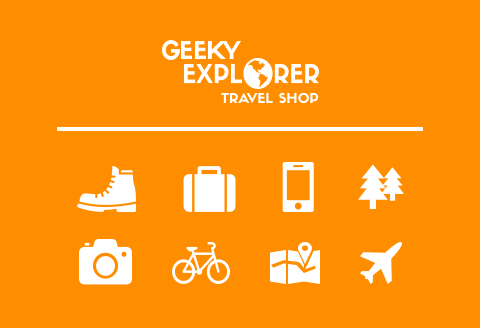 Check other 18 ideas of travel items to pack. Make sure you have all the gear for safe and worry-free travels. 15The food (specially the meat) is delicious. 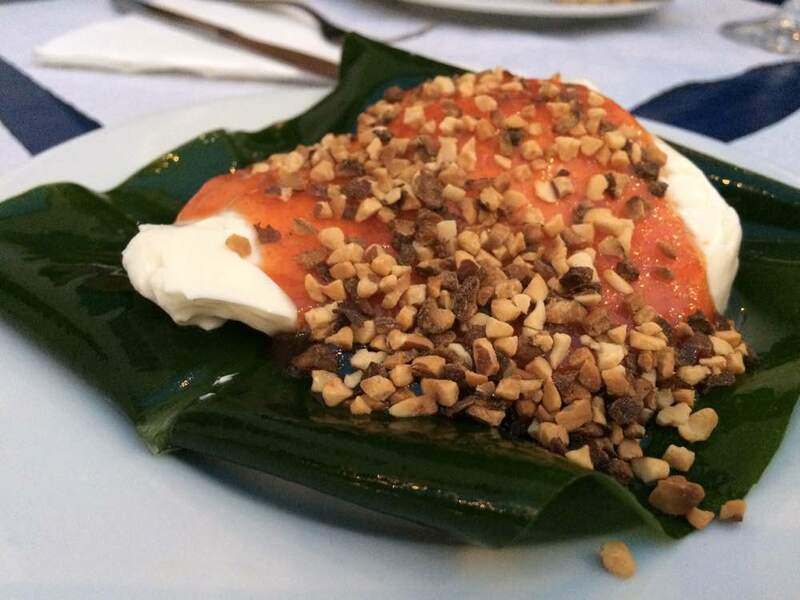 Fresh goat cheese with Azorean pepper jam and peanuts. Served in a banana leaf. Food in Portugal is of great quality and actually one of the main reasons to visit. Based on a healthy Mediterranean diet, food comes in generous portions with a low price tag. The Azores are no exception. Heck I’ve dedicated an entire post to food in São Miguel alone! Perhaps the most typical food is Cozido das Furnas (Furnas Stew), cooked underground with volcanic steam (!) in São Miguel. For sure it’s a novelty which you have to try out, but I personally there are way more delicious things to eat in the islands. From typical Queijadas to the iconic Azorean pineapple, there is a wide range of local delicacies. And then there’s the meat. The bife (steak) in Azores is tender and juicy like I’ve never tasted anywhere else. It’s so good I stopped eating red meat elsewhere. 16A bit of Portuguese can go a long way. Do locals speak English in Azores? English is widely spoken in the islands, especially with younger generations. You may find older generations struggling a bit more, and they feel more comfortable with some Spanish or French. 17Get there before mass tourism does. This view just for yourself is unvaluable. A few years ago when I told I was from the Azores islands hardly anyone had heard of them. They could hardly pinpoint them on the map. There was no hype on websites or social media either. Now everything is different. Several airlines are flying to Azores now. Tourism is increasing every year (21% in 2018 alone!). They have been mentioned on Lonely Planet and National Geographic as “the next big thing”. In a sense, I feel we have been (re-)discovered. For now, islands in the Azores are far from being spoiled by mass tourism. Don’t worry. But quite honestly, the danger is pretty much real long-term. So the sooner you visit, the better. While you can still enjoy silence, breathe in beautiful landscapes and taking a picture without waiting in a queue. If you are not from the US or simply not into vacation packages, you’re better off by booking your flight independently. Taxis and tours can be costly and public transportation is not reliable. Also local guides take away the fun factor. If you ask me, the best way to get around in Azores is definitely by renting a car. Plus, an island road trip will add a sense of adventure to make your trip truly memorable! The highest peak in Portugal, in Pico island. It’s Time To Visit Azores! Sometimes I think people think I’m bragging too much about my home islands. Oh Azores this and Azores that, so full of himself. No, I’m not bragging. The islands are really beautiful – I’d say surreal even – destination. Don’t take only my word for it – Lonely Planet have included the Azores in the Top Regions to Visit in 2017 worldwide. My home islands are a travel destination that makes a lasting impression on everyone who goes there. Going back to reality is a struggle and usually, people need to scream to the world how awesome Azores is. It’s exactly what’s happening right now. But please also make sure you mention the islands are NOT a party or beach destination like Ibiza or Miami and they need special care when visiting. 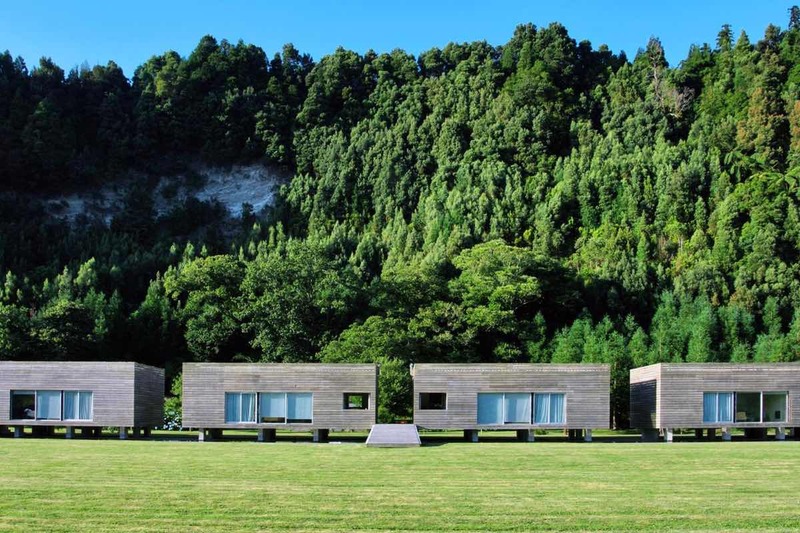 More than anything, they’re vulnerable and highly dependent on a fragile balance between sustainability and mass tourism. 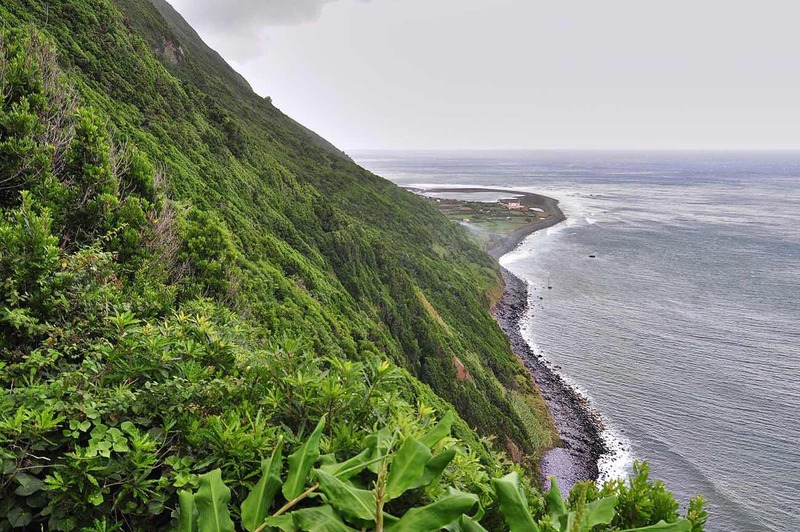 For many years, the Azores was considered a forgotten garden in the middle of the ocean. They might not be forgotten or hidden anymore, but we all have a tiny share of responsibility for keeping them still a garden. Forever. Are you planning to visit the Azores? If so, share your travel plans below. If you have visited already, let me about your insider Azores travel tips too!